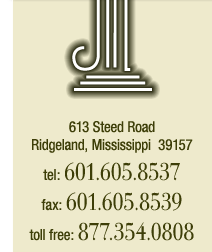 Our office is located north of Jackson and west of Interstate 55 near Highland Colony Parkway. Take the Old Agency Road Exit off of I-55, Exit No. 105C. Continue over the Interstate toward Highland Colony. Merge into the far right turn lane and turn right onto Highland Colony, traveling north. Continue up Highland Colony to the fourth red light, this is Steed Road. Take a left onto Steed. We are on the left, approximately one-quarter mile down, in the large white brick building, immediately before a small narrow bridge. Take the Ridgeland / Old Agency Road Exit off of I-55, Exit No. 105B. 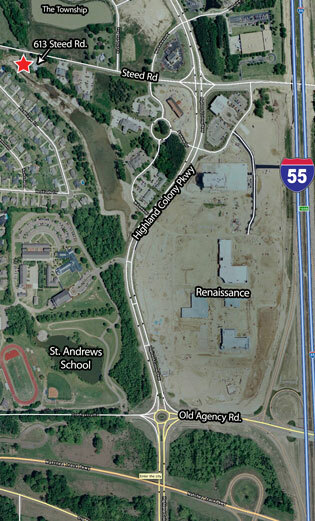 Continue toward Highland Colony, in the dedicated right turn lane and turn right onto Highland Colony, traveling north. Continue up Highland Colony to the fourth red light, this is Steed Road. Take a left onto Steed. We are on the left, approximately one-quarter mile down, in the large white brick building, immediately before a small narrow bridge.